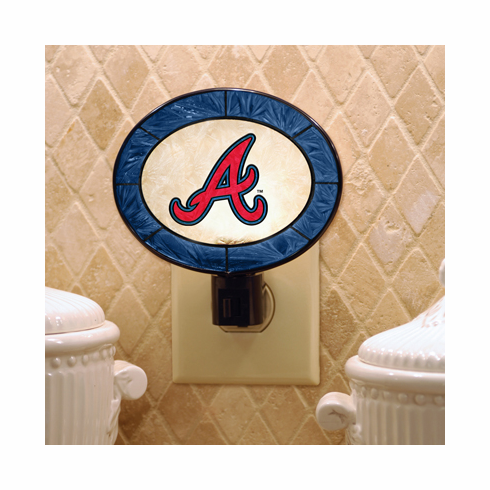 These tiffany style hand-painted night lights are unique and decorative, bringing class and elegance to any baseball room. Your favorite Major League Baseball team's colors are artfully combined to encircle the team logo to produce a soft hue amid the shades of night. Each piece is hand-painted in the classic art-glass style that adds beauty and function to any decor.